Bharatiya Janata Party (BJP) National President Amit Shah's visit here on Saturday has left in its wake a massive uproar in Uttar Pradesh's political corridors. Both Samajwadi Party and Bahujan Samaj Party MLCs (Member of Legislative Council) are resigning from their parties and in addition, three SP MLAs (Member of Legislative Assembly) have also steeped down and waiting for a joining call from BJP. SP MLCs Bukkal Nawab, Yashwant Singh and BSP MLC Jaiveer Singh have tendered their resignation from their posts. After resigning, SP MLC Nawab said, "I am feeling very suffocated since last one-year. It is clear that when he (Akhilesh) is not with his own father then how can he be with the people." "It's his personal decision that he has resigned from his party. BJP will win the elections of Vidhan Parishad," said Deputy Chief Minister Keshav Prasad Maurya on Nawab's resignation. Amit Shah will hold a meeting with UP Chief Minister Yogi Adityanath to attend issues of governance and plug gaps with Keshav Prasad Maurya. Emphasising on Shah's visit BJP's spokesperson and Uttar Pradesh Health Minister Siddharth Nath Singh said, "It is very important from organisation's point of view. There should be coordination between the government and the organisation. It will give new energy and strength." Meanwhile, the Congress Party has been jolted in Gujarat after at least six of its MLAs have joined BJP, barely months before crucial assembly polls in the state, where it is out of power for the past 22 years. In a bid to keep the MLAs together in Gujarat, Congress flew most of its Gujarat MLAs out of the state in a midnight flight to Bengaluru on July 28. A Congress delegation will also meet the Election Commission in Delhi today to complaint against the Bharatiya Janata Party (BJP) over alleged 'horse-trading'. The delegation, comprising of heavyweights Ghulam Nabi Azad, Anand Sharma, Manish Tiwari, and Abhishek Manu Singhvi, will meet the poll panel at 5 p.m. Speaking to ANI Singhvi told, "In Gujarat, Prevention of Corruption Act is being breached and abolished. The horse-trading for MLAs is taking place openly in the state. The ways BJP party is using to form the government is not good. As the MLAs switching over to the saffron party, it could be tough for Congress to re-elect its senior leader Ahmed Patel to the Rajya Sabha from Gujarat. 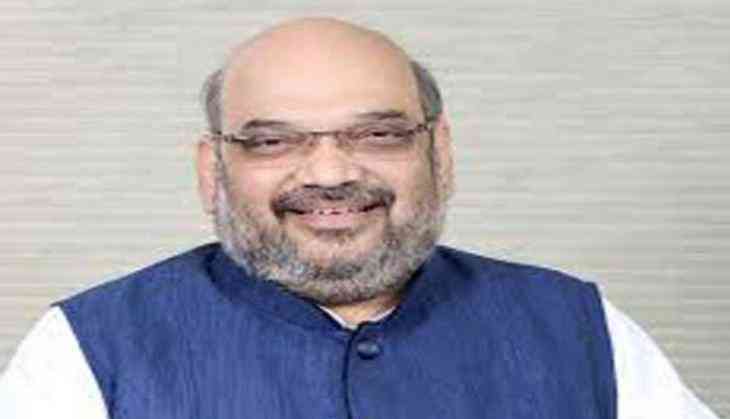 Earlier, Amit Shah along with Union Information and Broadcasting Minister Smriti Irani had filed their nominations for Rajya Sabha elections from Gujarat on July28.